Beautiful pictures exactly as described. Would purchase again for another home to decorate. 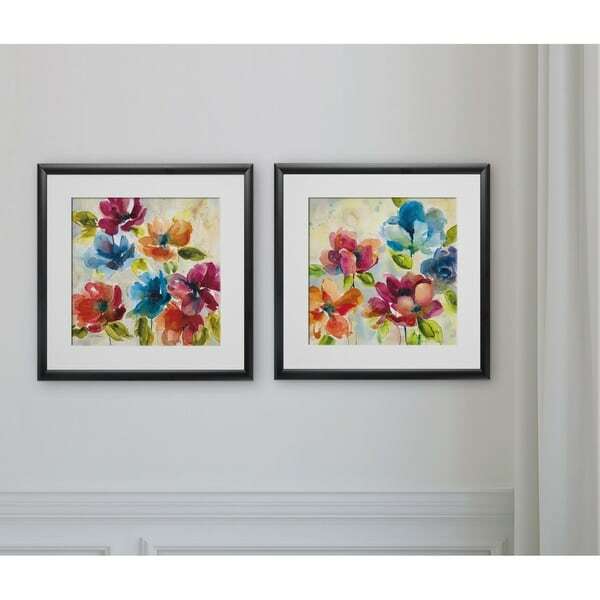 Color My World -2 Piece Set 2 Custom Framed Prints. 100% and created to last. Individually printed and framed by hand to very high standards. Printed and inspected one at a time utilizing the latest archival UltraChrome Giclee inks Consisting of 2 Total Framed Pieces Each measuring 16''x16'' x .75'' deep Each Piece is Individually Framed Acrylic Glass Each piece includes hanging accessories and is ready to hang. You need only to apply an anchor to the wall of your choice. I can't believe I paid that much for these pictures. I found the very same ones in a *** Plastic frame, plastic glass and paper backing. First time I have ever been disappointed in something I have purchased from Overstock. They’re adorable and brighten my space! Definitely look like they did on your site.